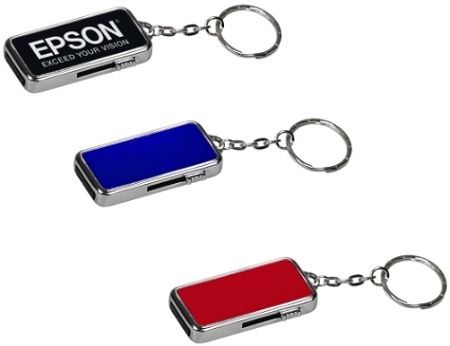 Laser Engraved USB Keychain Flash Drive. 8GB. 3 lines of engraving with 15 letters each line. Logo optional. Makes a great gift for college students. Metal Slide Out. 3/4" x 1 1/2" x 1/4".